A very popular sweet dish that is widely cooked on the special occasion. It is usually made with condensed milk, vermicelli and cardamom powder. 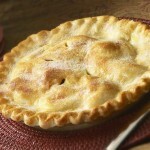 A lip smacking apple pie spiced up with all spices. A sponge cake that is infused with vanilla essence and then topped with dry fruits. Its a nice tea time cake. Fresh strawberries are partially pureed and combined with whipped cream and beaten egg whites for a cool, fluffy, pink dessert. 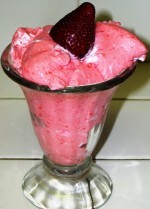 A healthy and delicious frozen treat made from fresh strawberries and fat- free yogurt. Juicy Strawberries blended with milk to make a delicious icecream. Lentil dumplings soaked in a succulent sugar syrup to enjoy the earthiness of this dessert. Best served when garnish with dry nuts. A sweet n salty layered dessert with a crunchy crust of biscuits and cream, chocolate syrup and pineapple topping. Not to sweet and healthy, light bodied muffins. Warm and tasty Donut balls floating in succulent sugar syrup. Milk Balls soaked in sweetened milk and garnished with dry nuts to liven up the earthiness of this delicious dessert.